Why electronic door access control? Electronic door access control provides the most efficient and convenient way of securing your building and assets. Firsteye can supply you with a new door access system, upgrade an existing system, and service and maintain all kids of door access systems. Having an access control system fitted means you can avoid the weakness of unauthorised access resulting in opportunist theft, malicious damage and threats to personal safety. From a single door or gate lock to multiple user systems, we’ll find an access control solution for you. Access Control gives you a flexible security system and enables you to control who has access to your building at any time. With an access control system, you’ll be able to issue tokens for access through specific controlled doors, bar lost tokens from the system to prevent unauthorised access, and you’ll never need to change a lock again. Having flexible control over users’ access rights and the ability to restrict access to a single door/gate or series of doors means you’ll always be assured everyone is where they should be with no unauthorised access. Connection to other systems such as fire alarms and CCTV systems offers you complete control and security. 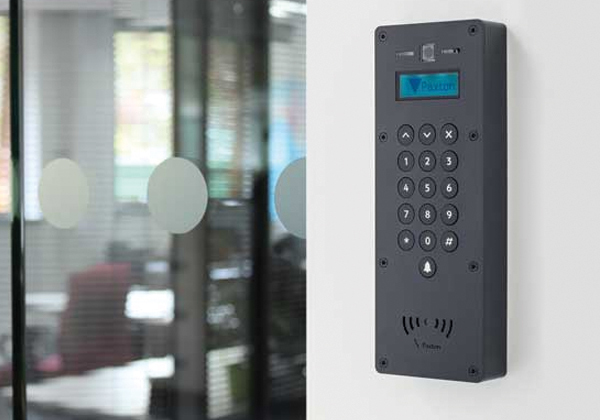 Access control is not just for offices, shops, warehouses, factories and commercial buildings; it can also be useful to help landlords safeguard vulnerable residents in rented accommodation or control access to multiple residency flats and apartment blocks. Schools, colleges, nurseries and childcare centres are also increasingly taking advantage of the many functions of a door access system to allow then to protect the children and young people in their care and keep them safe. Standalone Access Control or Networked Access Control? There are two main types of access control systems, standalone and network/PC based access control. Standalone systems are straightforward to operate and work best for controlling a single gate or door, or several doors in series. They are individually programmed at each door so are best suited to a smaller number of users. Access at each door is via keypad code number, or swipe card, fob or token presented to a reader. These systems are ideal for small business premises such as shops or offices, membership only clubs, individual storage units or flats and apartments. Networked or PC based systems are controlled from one central computer or by logging onto networked access control software. Users then have the capability to control all access points with a control system fitted from anywhere in the building, creating individual or group user access pathways and issuing or barring access cards, fobs and tokens as needed. Networked systems also have a reporting facility in their software, allowing you to see exactly who has passed through each door or access point and when. The capabilities of networked systems are best suited to companies who need multiple user access with individual control, or have sites with multiple buildings such as universities, large corporate or commercial buildings, and industrial sites. Our engineers are specially to trained to fit Paxton Access Control systems, the most trusted brand in access control, so you can be sure access to your building is in safe and experienced hands. Firsteye engineers will design, fit and programme an access control system specific to the working needs of your staff, customers and building. Paxton’s Net2 system is a popular choice as it can be fitted to anything from one door or gate to over a hundred, and is networked to a PC or internal computer system of your choice for complete control. And much more – our engineers will be happy to advise the best combination for your needs. Our quotations are always free of charge and one of our team will be happy to visit you at a time to suit you. For more information and to book your free quote, please contact us on 0113 228 8599, email quote@firsteye.co.uk or use the Contact Us form here on our website.